Dancamps Hampen has been closed on 2 September 2018. This campsite will reopen on 1 May 2019. 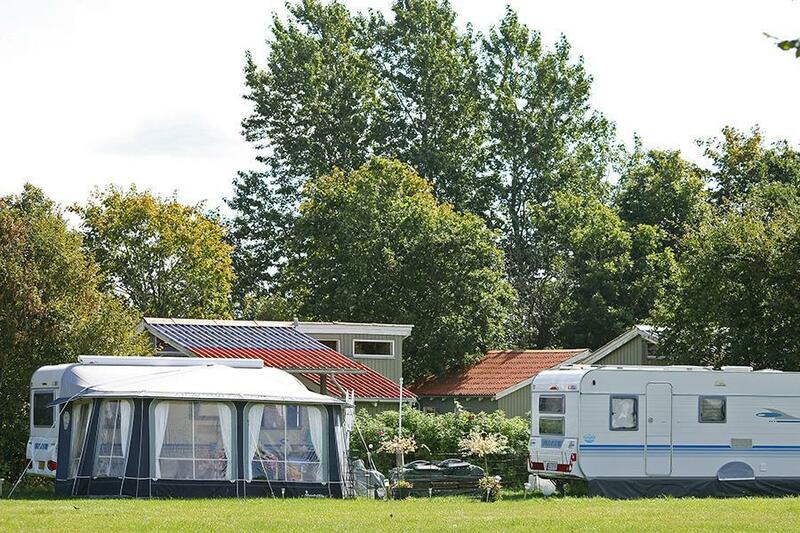 Dancamps Hampen is a campsite with 180 touring pitches and 50 year round pitches. During low season, between 01-01-2018 - 30-06-2018 and 18-08-2018 - 02-09-2018, the nightly rate is €15,- at one of the 180 touring pitches at Dancamps Hampen in Hampen (Central Jutland). At this campsite you can not only use your CampingCard ACSI for inexpensive camping, you can also use your ACSI Club ID (as an alternative ID). A peaceful campsite among woods and lakes. Walking and cycling routes on ancient roads pass by the grounds. Large pitches and a relaxing ambiance. Supermarket on the site. Enjoy natural activities such as a fishing trip or explore the heathland. Good base for visiting Legoland, Givskud Zoo safari park and the Aqua centrum in Silkeborg. Would you like to book Dancamps Hampen or request more information? You can do both using the information below. From Vejle route 13 till 7 km north of Nørre Snede, then left to Hampen St. Another 2 km to campsite. CampingCard ACSI will send your information request to "Dancamps Hampen".